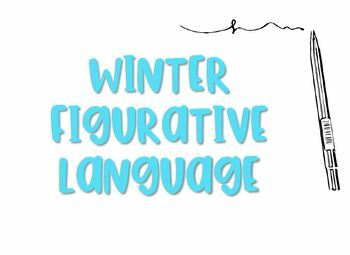 Winter figurative language...figures of speech that have to deal with love or heart...things your students might hear any day really! -20 pairs of figures of speech cards and their meanings that can be used in several different ways! -A worksheet that can be used to map out the figure of speech and their meanings.